Trees are turning over a new leaf in the season of rebirth. 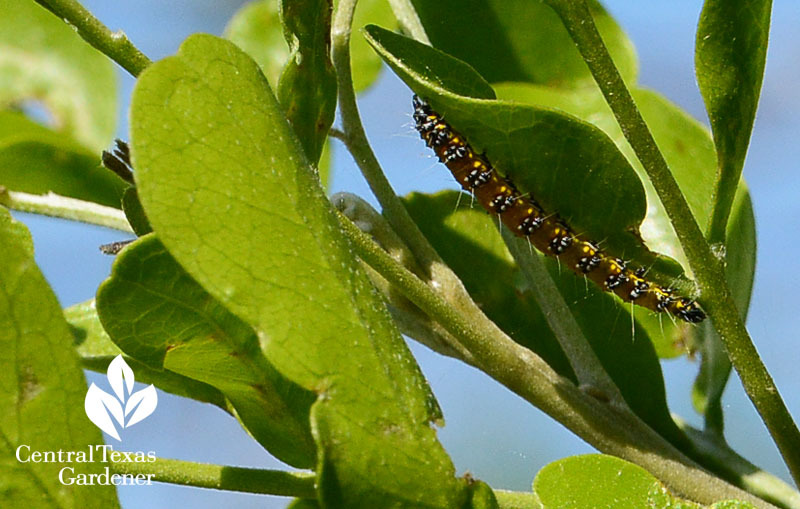 BUT: be on alert for genista caterpillars chomping their way through succulent new mountain laurel leaves. If you can spot them, squish as fast as you can. 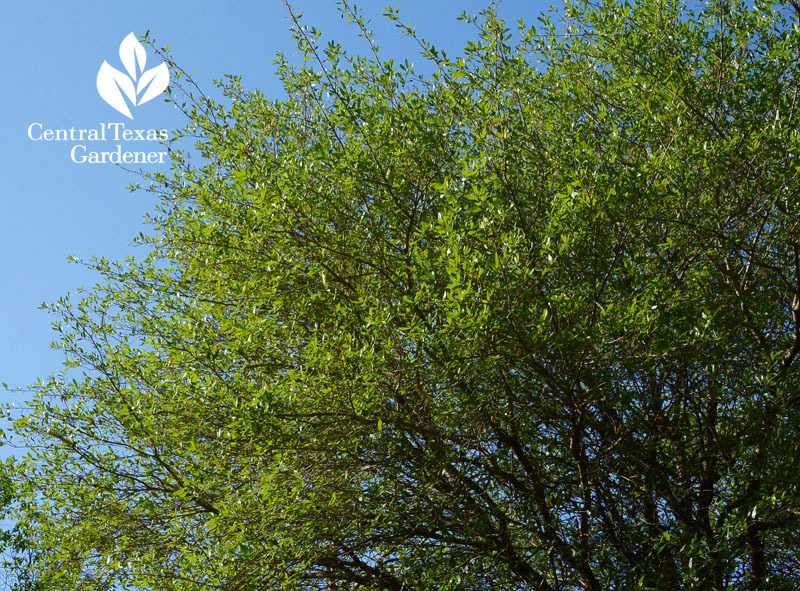 It’s best to spray the entire tree, including bottoms of leaves, with Bt (Bacillus thuringiensis) before they defoliate your tree. They’ll even eat the tiny flower stalks that will soon emerge. You may need to do this a couple of times as eggs hatch. Live oak trees look a bit yellowish-green as new growth emerges. They’ll darken up soon. 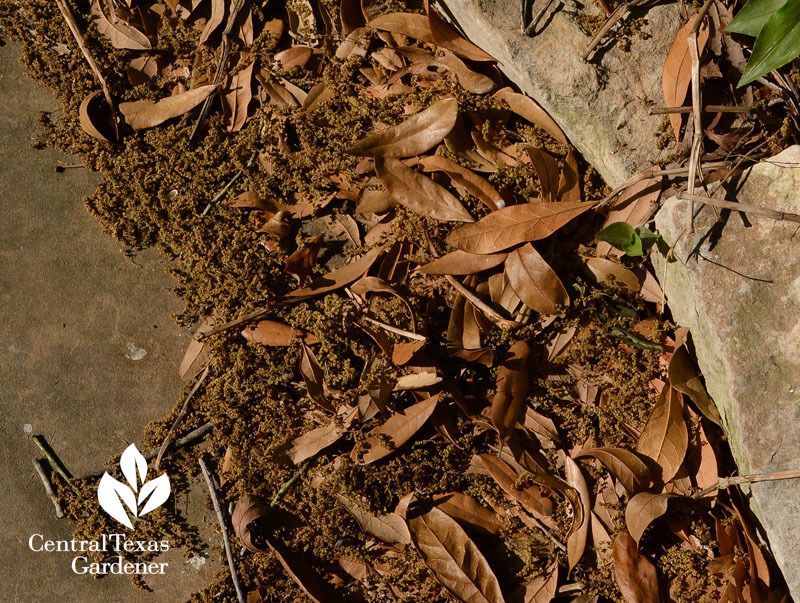 If you’re sniffling a lot, blame it on oak pollen from the male catkins, now collecting all over your yard, car, sidewalks, and pets. My yaupon hollies still sport berries even as miniscule flowers assure next year’s crop. 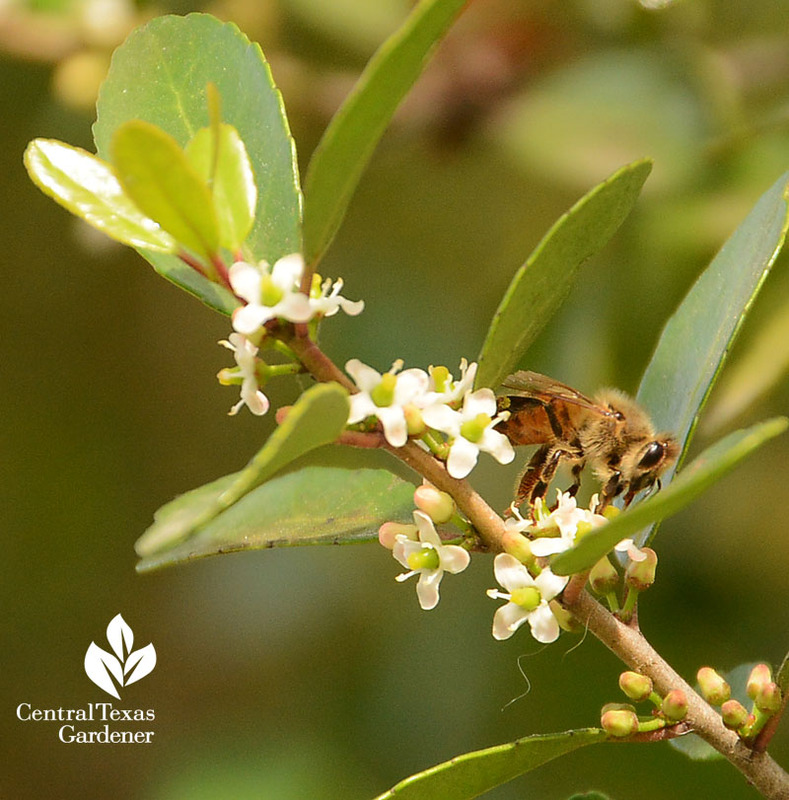 This fruit-producing female is pollinated by bees and other tiny insects that have visited male holly flowers somewhere in the neighborhood. 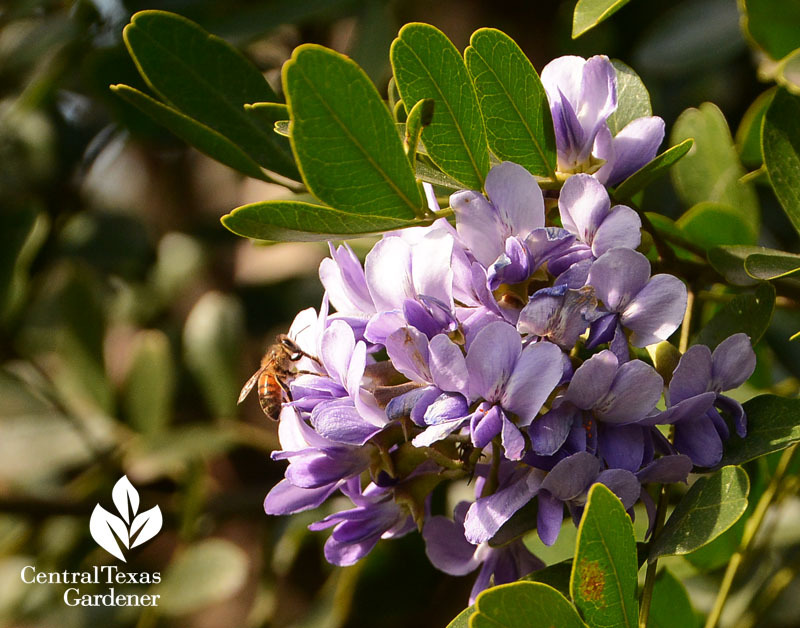 Keeping pollinators fed is the best part of progressively flowering trees and shrubs. 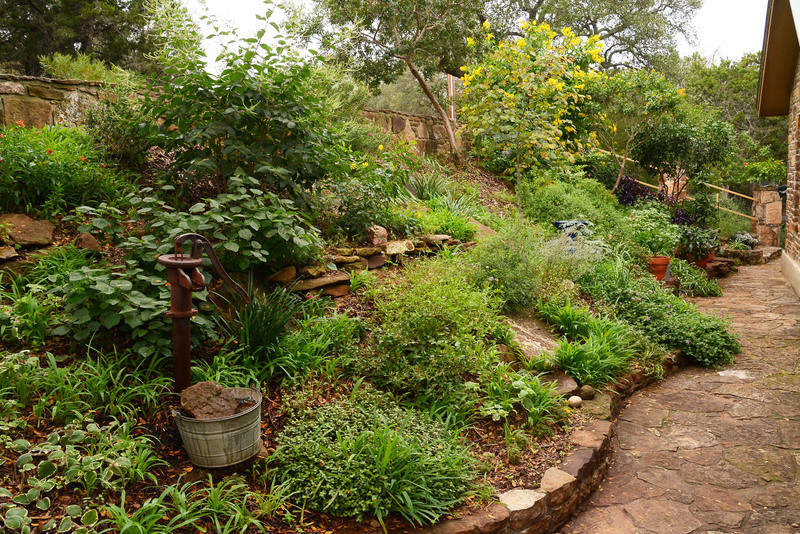 My garden’s been busy since early February with Mexican plum followed by viburnum, redbud, and mountain laurel. AND, CTG is springing into an exciting new season! On April 7, discover how urban prairie restoration impacts drought and flood plains and why to plant grasses now. 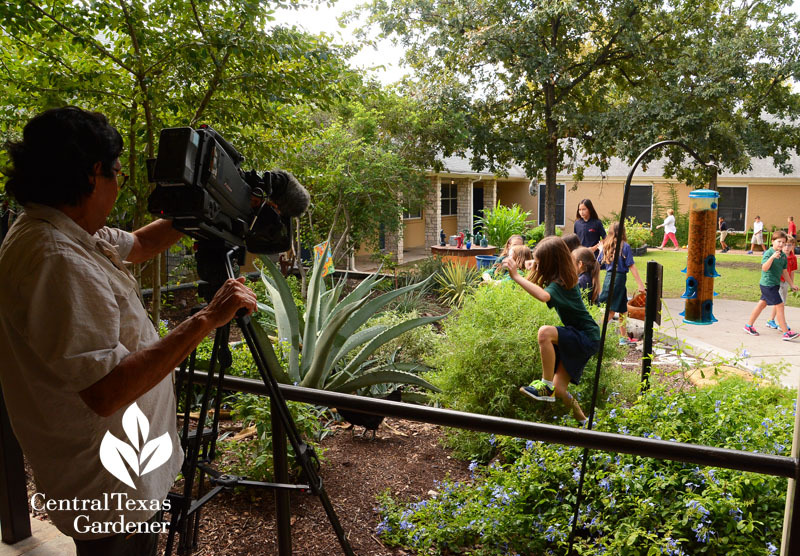 On tour, visit a living wall that studies best practices for hectic Texas weather. 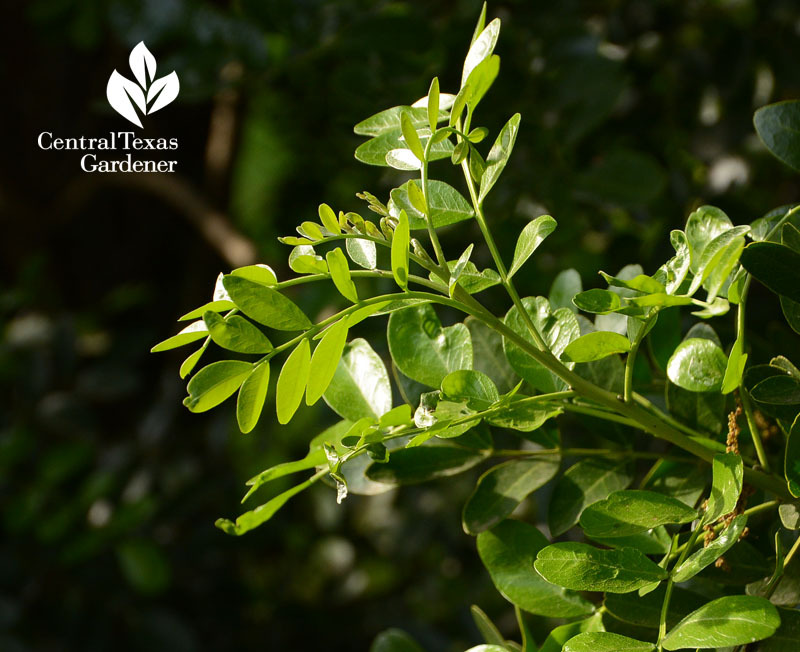 Find out how to grow super foods like moringa, curry tree, snake gourd, henna and more. 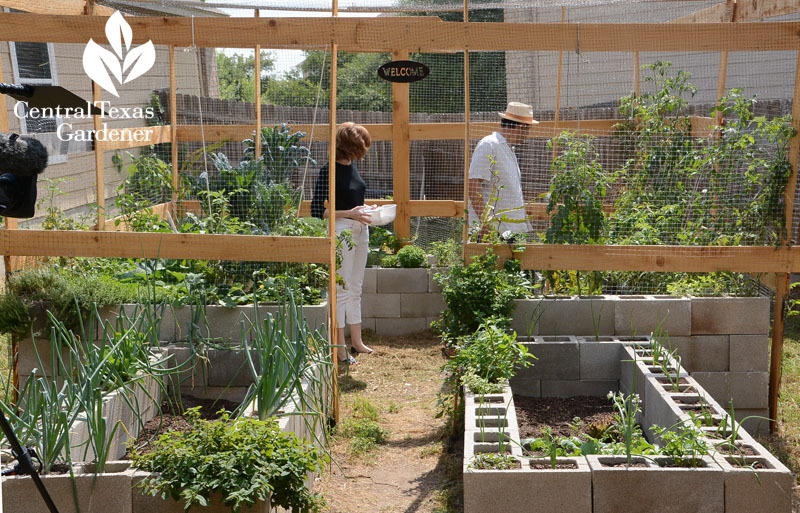 In San Antonio, a charming couple designed cinder block vegetable beds on their rocky soil to serve up 5-star meals. We’ve got you covered with pet-safe plants to screen a view. 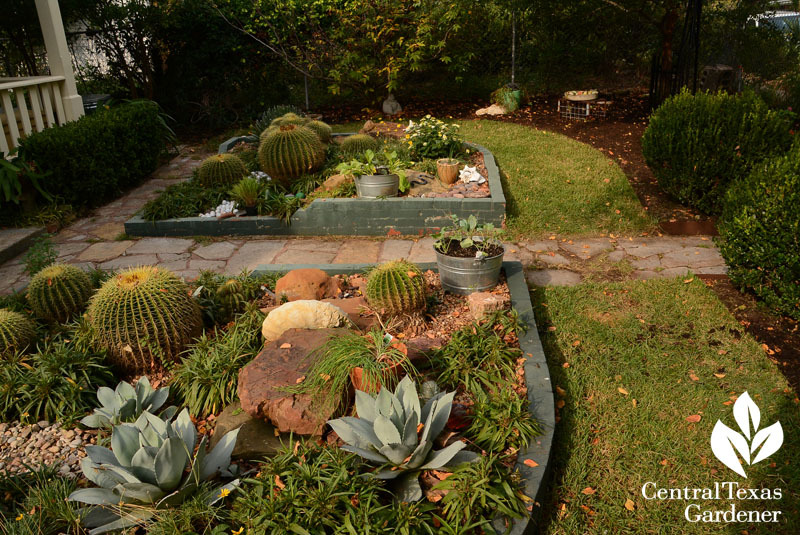 On tour, a small front yard goes geometric to shape up a plain rectangle. 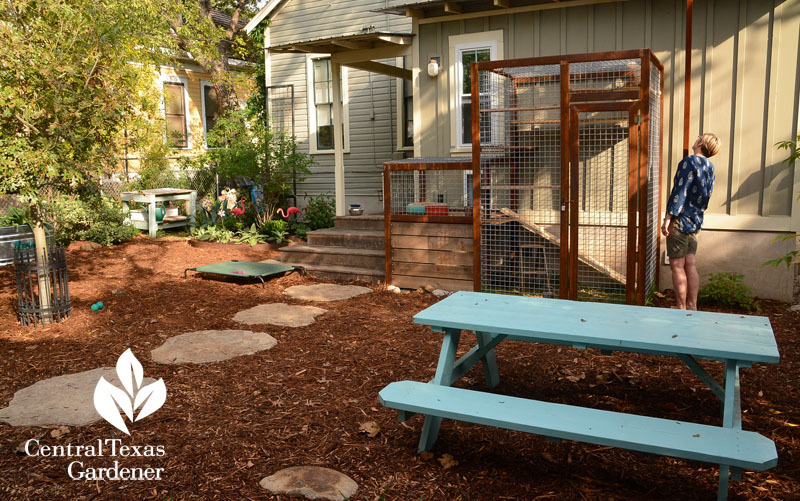 In back, they designed for rescued dogs and cats, including a catio to keep formerly ferals (and birds) safe. 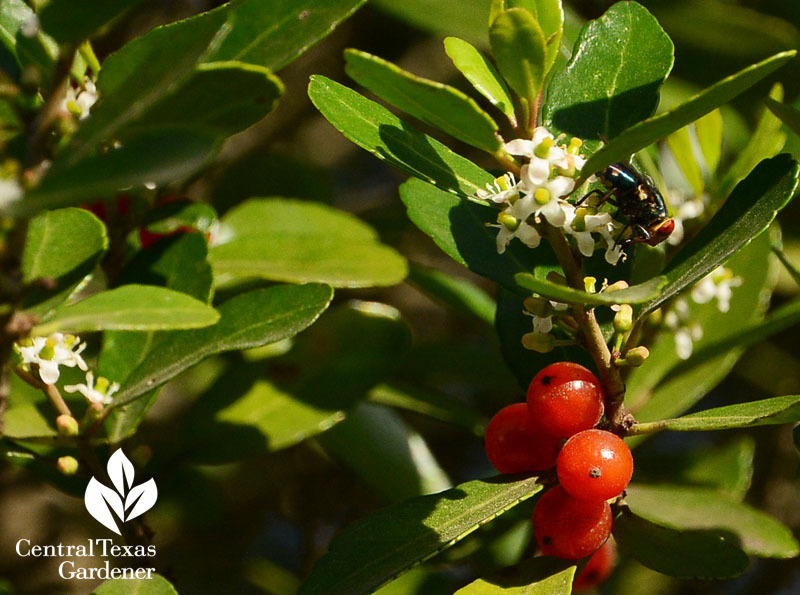 Check out native plants for your water-thrifty habitat garden. 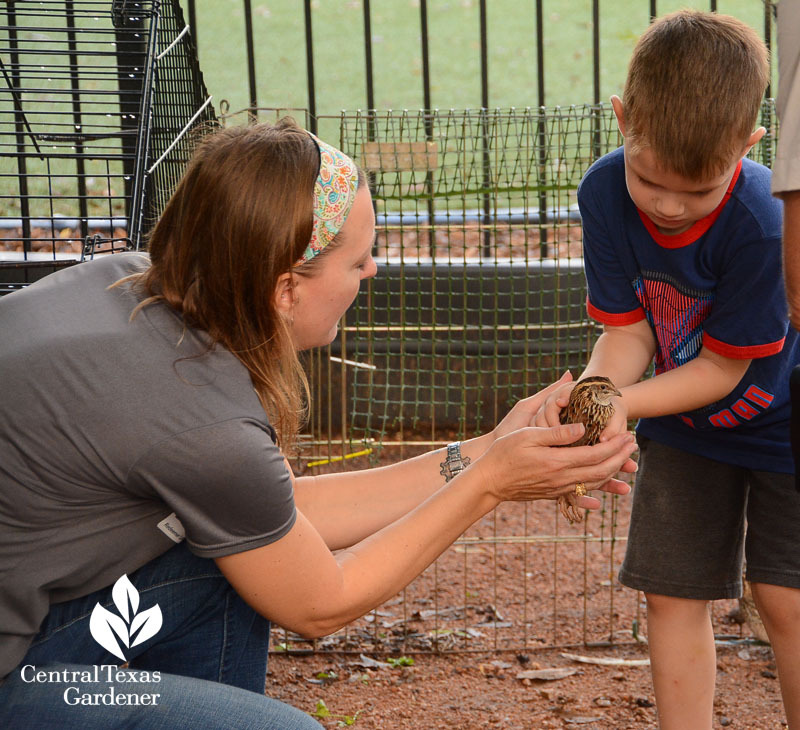 On tour at Redeemer Lutheran School, students learn about the birds, bees, and butterflies (and chickens and quail) in their wildlife habitat “farmyard” gardens. 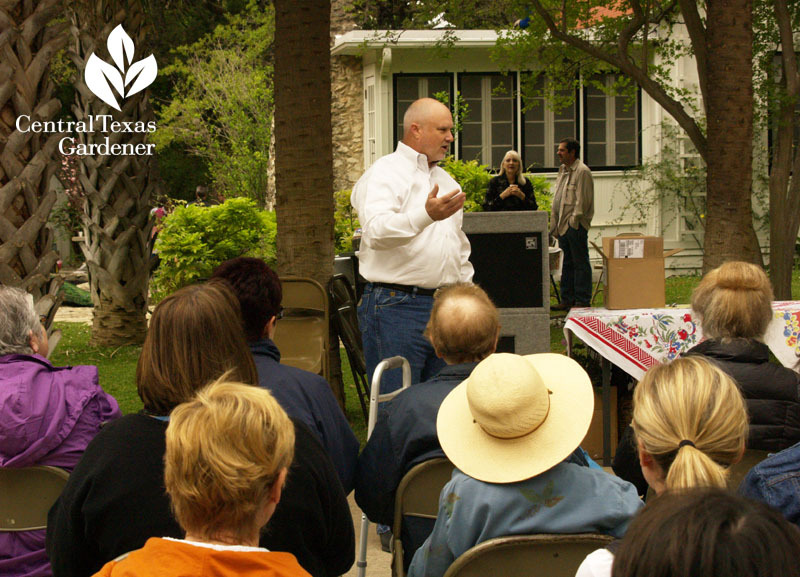 AND ON APRIL 7 at the Mayfield Park Gardening Symposium: meet Daphne & Augie (bring your questions! 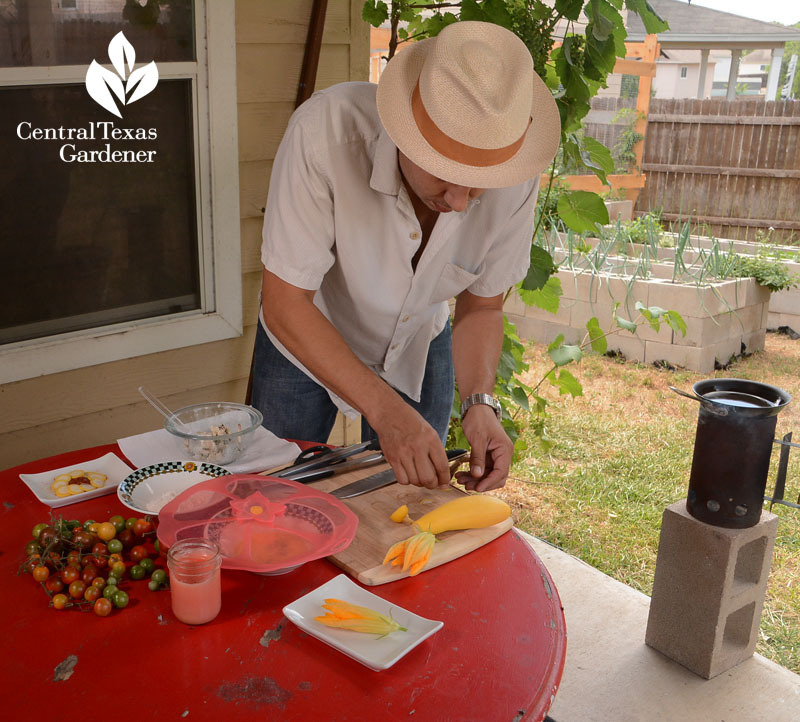 ), learn how propagate plants like a pro, and how to keep your trees in leafy good health! Find out more. 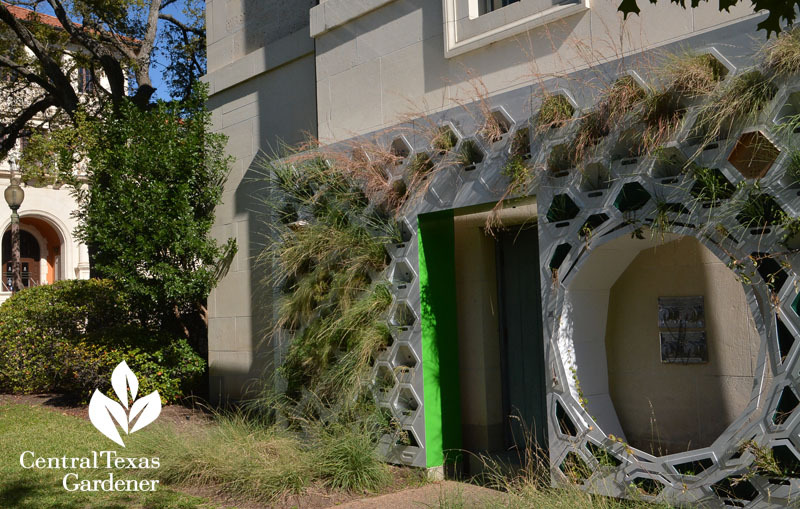 In case you missed it, this week check out houseplant designs with Tillery Street Plant Company and how Maverick Fisher banished invasive plants around his old house for wildlife diversity and future sustainability.